Rob Cesternino (@robcesternino) and Josh Wigler (@roundhoward) are swooping back in again to answer all your emergency ravens from “Beyond the Wall”, episode 6 of season 7 of HBO’s ‘Game of Thrones’ from August 20, 2017. 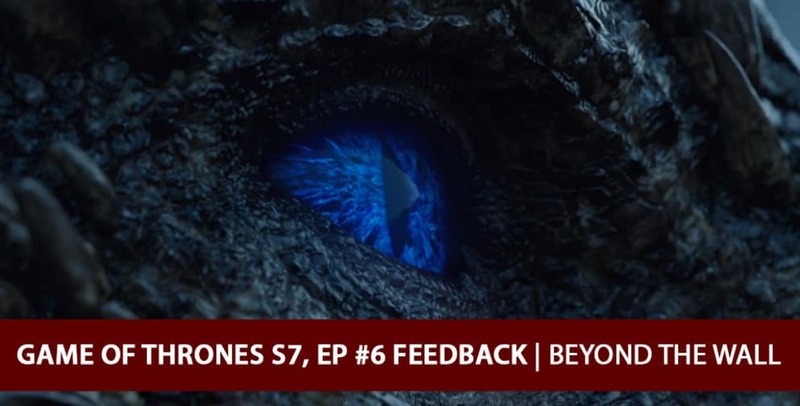 This week, the guys were swarmed with listener feedback questions on topics such as what Cersei’s reaction to seeing the wight might be, when Jon might finally learn the truth of his parentage, and “Zomberion”. Be sure to join us once again on Facebook LIVE Sunday night immediately following the episode to recap the season finale, “The Dragon and the Wolf”.